Proposed project too suburban for Riverside/Avondale? If plans go according to schedule, 224 more apartment units could be under construction in Riverside/Avondale by the end of the year. One question residents may be asking themselves is if it is too suburban for the popular historic district? Take a look and let us know your thoughts! 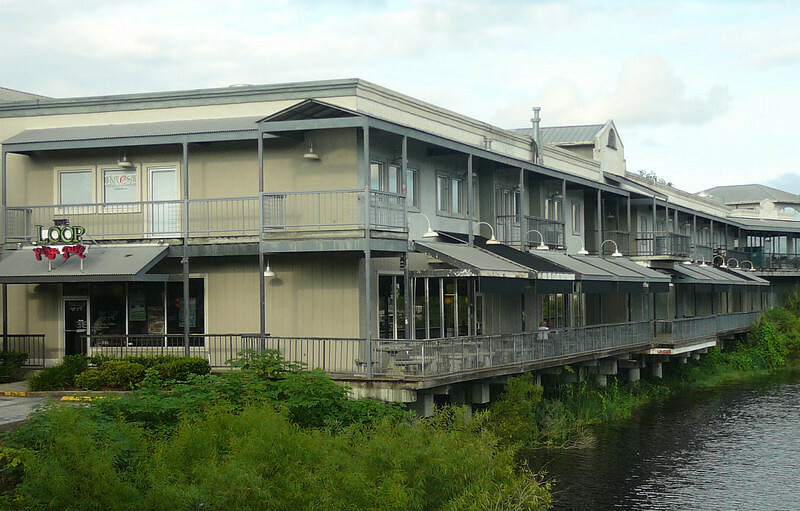 The St. Johns Village shopping center and Commander Apartment tower along Avondale’s Fishweir Creek. Avondale’s St. Johns Village shopping center and Commander Apartments tower have been targeted for redevelopment since 2005. Anchoring a vibrant commercial strip at the intersection of Herschel Street and St. Johns Avenue, past proposals have focused on incorporating a mix of retail and residential on the high profile site. The most recent proposal filed in 2014 by Chase Properties was to build a 260-unit apartment development with 10,600 s.f. of commercial space at the site. Chase’s proposed development included four buildings spread over the 5.86-acre parcel, two integrated parking garages, and surface parking. However, instead of redevelopment taking place, in early 2016 Atlanta-based Chance Partners LLC. acquired the 170-foot tall tower and retail center for $5.8 million. Chance Partners is a fully integrated real estate firm specializing in residential and mixed-use projects across the south. Their developments (See here) tend to be located in walkable downtowns and collegiate towns such as Tallahassee, Athens, Tuscaloosa and Savannah. St. Johns Village shopping center will be replaced with residential use. Now Chance is prepared to move forward with a plan for their Jacksonville site in Riverside Avondale Historic District. If Chance has its way, the Commander tower would be remodeled and the adjacent St. Johns Village shopping center would be replaced with a 224-unit apartment complex. 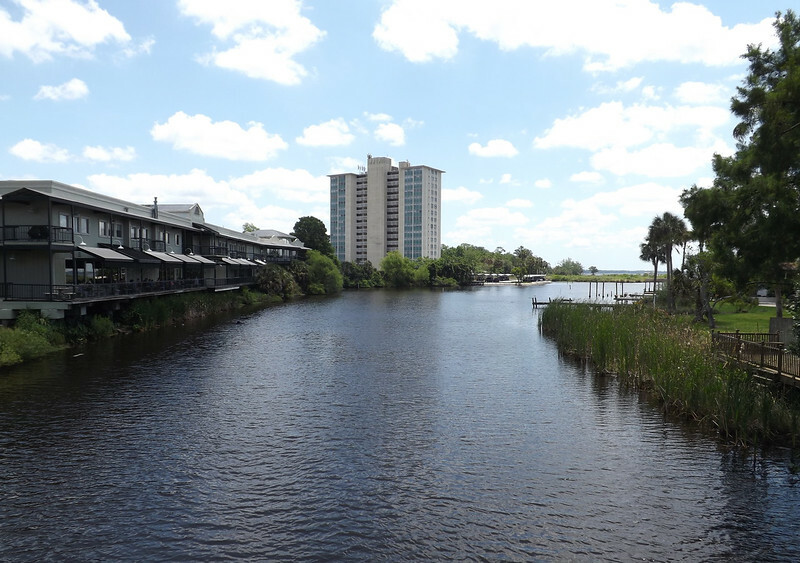 That apartment complex would contain two four-story buildings along Fishweir Creek, four carriage house units along St. Johns Avenue, a parking garage and a large surface parking lot. Decorative fencing would hide the surface parking lot from St. Johns Avenue. The $35-million development would not include retail, meaning existing tenants like The Loop Pizza Grill would have to relocate. The inclusion of the large surface parking lot between the site’s primary structures and St. Johns Avenue would be an element not seen in Chance’s recent infill developments in smaller southern cities. The development proposal is unique for Riverside Avondale as well. It’s the largest example of residential being proposed to replace existing retail uses within a Commercially designated character area of the Riverside Avondale Zoning Overlay. If approved by the city, construction could start by the end of 2016 and be completed in early 2018.